Are you looking for the best EDC pocket knife? Then you’re looking for a knife that will handle your most common daily tasks and hold up under those conditions. The pocket knives on our list are from some of the top knife makers, like Opinel, Benchmade, and SOG. So they are sure to hold up under daily use and will be backed by great warranties. The first knife is a beautifully crafted daily blade by Opinel. The Opinel No. 8 Flip Pocket Knife ($30) will be a knife you’ll want to hand down for generations to come. 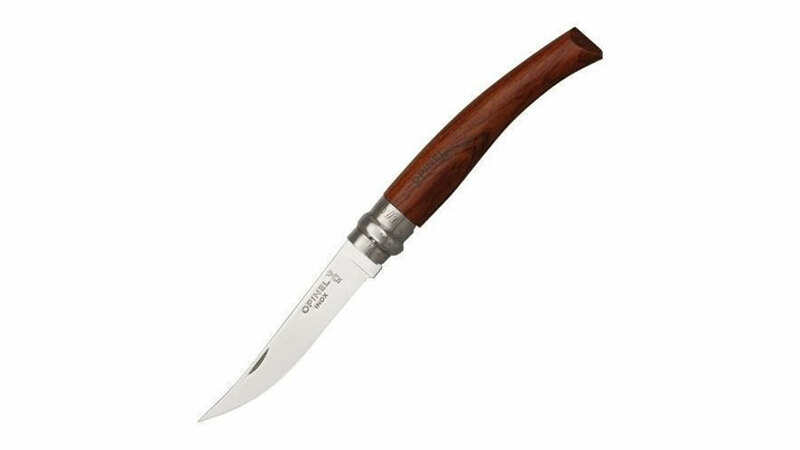 It features a high-quality Opinel Bubinga wood handle and a stainless steel blade with crowned hand hallmark etching. It looks stunning and can cut through a variety of materials with ease, it is also very lightweight. The safety ring makes folding and locking the blade away simple and straight forward. This sleek, slim blade is a versatile tool that you’ll always be glad to have around for those daily tasks. 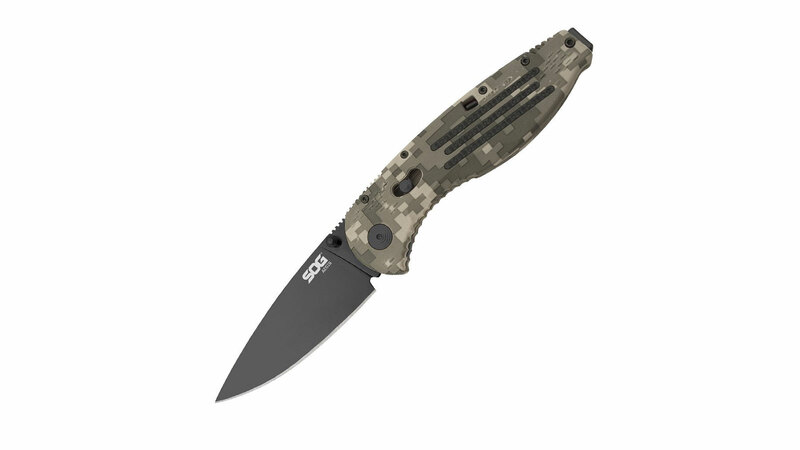 Inspired by elite service military knives of the past the SOG Aegis Assisted Flip Pocket Knife ($60) is a must have for any everyday carry arsenal. It weighs under 16 ounces. And features an ergonomically contoured and perfectly balanced handle so you can be sure of a smooth, tight grip. Additional features include the Sog Assisted Technology dual spring ambidextrous locking mechanism. 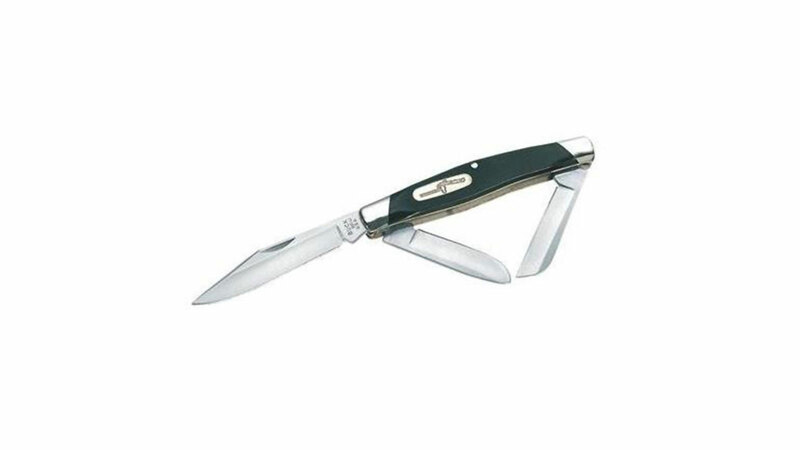 A 3.5-inch steel folding blade with a clip point and a hard case black TiNi finish. This handy futuristic flip knife is a versatile tool you can use a number of ways. Available in two striking designs. A bold black and traditional rosewood pattern the beautiful Buck 301 Stockman Flip Pocket Knife ($35) is actually three knives in one. The Stockman is American made and useful for a vast variety of activities like hiking, hunting, and camping. There are three blades included. A 4-inch clip pointed blade for detail work. A 2-inch spey blade which is perfect for skinning. And finally a 2-inch Sheepsfoot blade which is perfect for getting a clean cut on a flat surface. 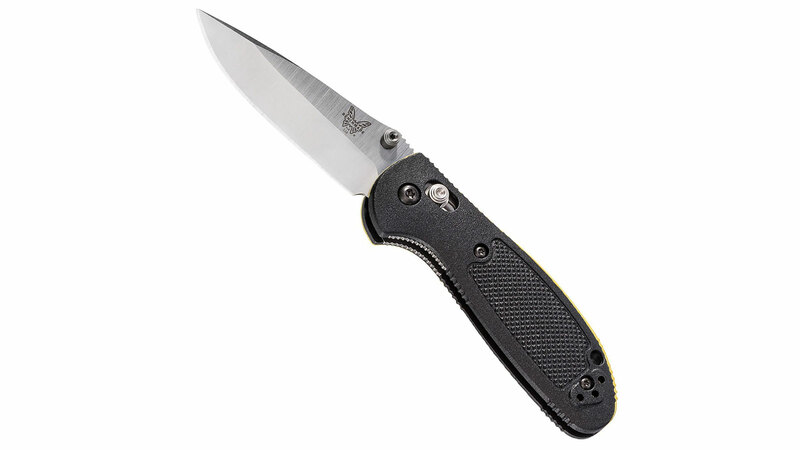 For all around functionality, it’s hard to beat the Benchmade Mini Griptilian Flip Pocket Knife ($90). It’s available in three bright colors with a satin finish on the handle. Made with American made steel, the drop-point style blade measures just under 3 inches and it weighs just 75 grams. It’s a well rounded and very strong blade with many uses. The smooth handle is made with injection molded GFN, glass filled nylon, that provides a secure grip. It also features the tried and trusted AXIS ambidextrous design and locking mechanism. With stunning style and an innovative design, this knife is sure to be a great choice for anyone. The Cold Steel Recon 1 Flip Pocket Knife ($83) sets the standard for Tactical folding knives that’s hard to beat. This stylish folding knife is 8 inches long when open with a five-inch handle and a three-inch blade. The blade is 3.5mm thick and made from carpenters steel with a DLC coating. It is lightweight and easy to handle and can cut through a variety of materials with ease. You can also clip it onto your belt or backpack for ease of access and comfortable carrying. It’s easy to see why the Cold Steel Recon 1 is a popular knife among military and law enforcement personnel. Best Small EDC Knife. 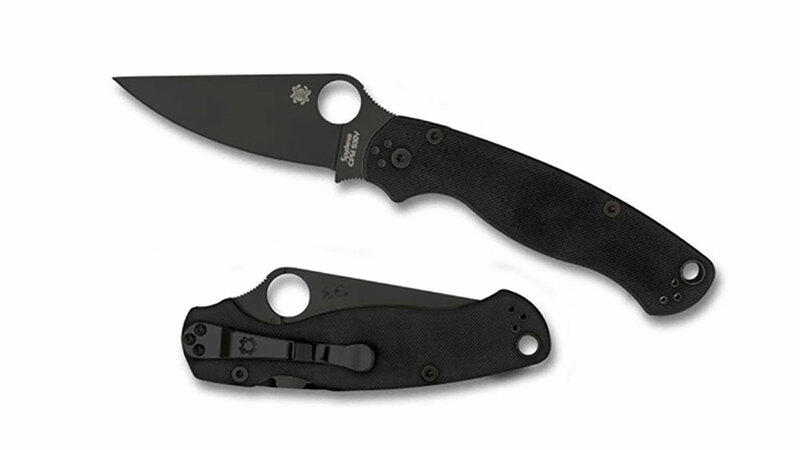 The Spyderco Para Military 2 Folding Knife ($118) is the perfect everyday carry knife for today’s man! With this knife in hand you can safely carry out a number of tasks. It can also be used as a tool or for self-defense. This Spyderco blade is made in the USA. It featurs a slick G-10 handle for a tighter grip with added slip resistance. 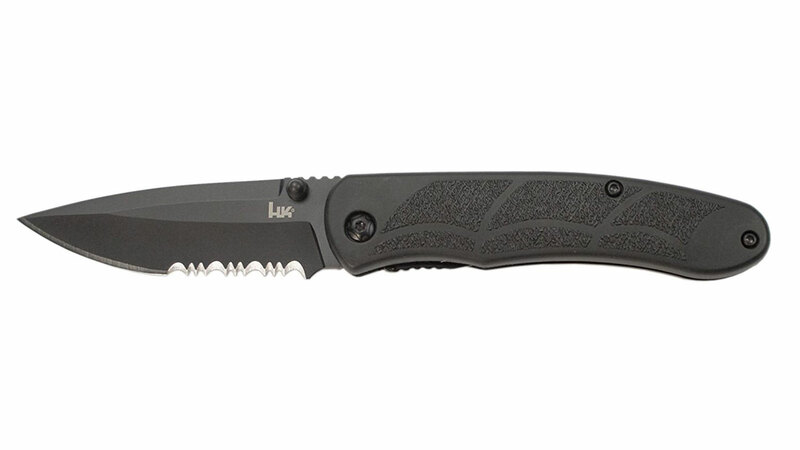 This powerful and efficient knife will make a great addition to any everyday carry arsenal. The blade is very sharp and will cut cleanly and unfettered through a wide variety of materials. It also incorporates Spyderco’s Pivot bushing system. This specially designed system ensures that the blade will always be secure when folded away and feel smooth upon release. For extra versatility, it also features a clip for tip-up or tip-down carrying and a lanyard hole. 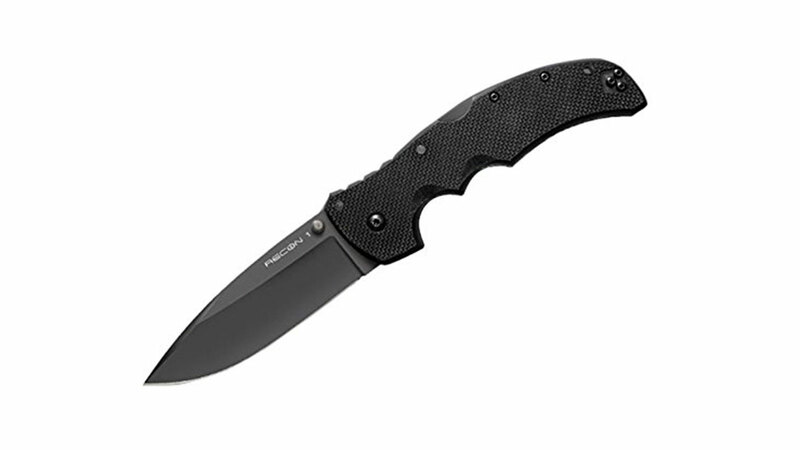 Measuring just 7 inches the Kershaw Leek Folding Knife ($40) is another great everyday carry knife. This stylish, sleek and modern knife can be used for a variety of everyday chores. Because it’s a lightweight knife it will make a great blade for outdoor activities like camping, hiking and much more. The silver body gives this knife a modern finish and it’s also been bead-blasted for extra affect and strength. Whether it’s attached to your keys, backpack or simply held in your hand the Trekking Knife No. 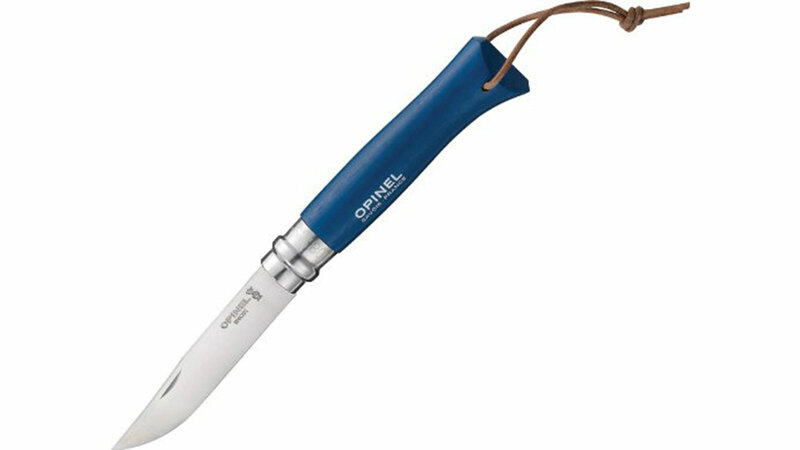 8 Blue ($24) from the always reliable Opinel is a knife you can rely on. It’ll give you a clean, smooth and strong cut whatever the material. It features a strong, durable blade measuring 4.25 inches. And a handle measuring 3.25 inches. This knife will always be easy and comfortable to carry and features a safety ring for secure locking at all times. The handle is made from a striking deep blue dyed wood. And the thick leather lanyard means you can easily attach this knife to your gear. 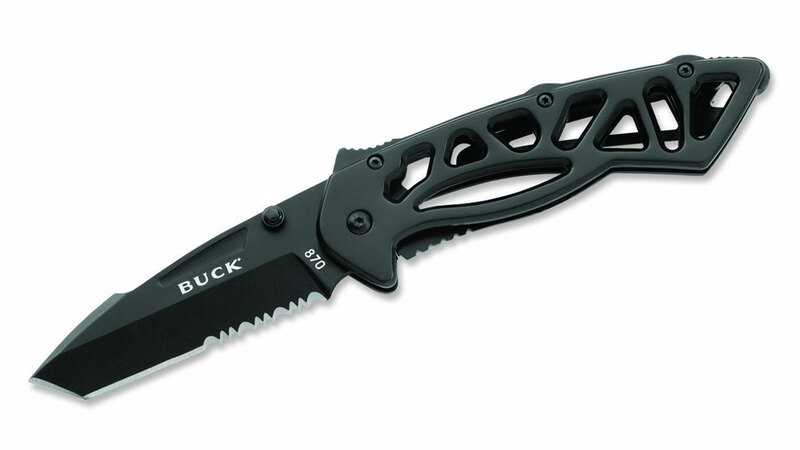 Buck Knives are well known for their array of stylish knives. The Vantage is a prime example of the quality craftsmanship they represent. 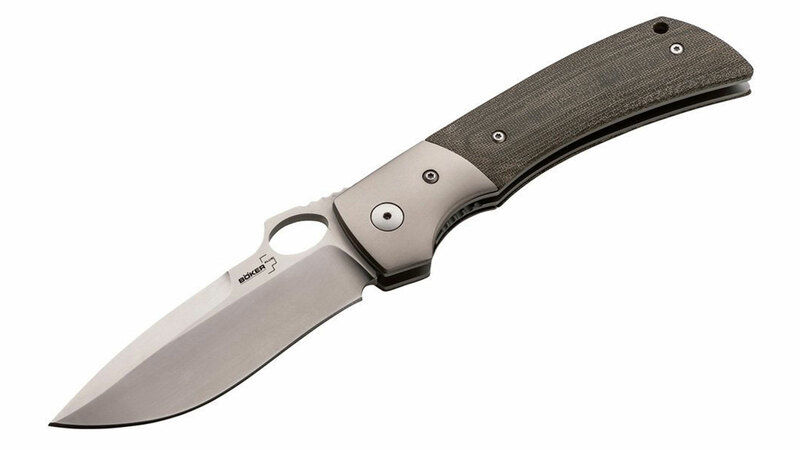 Any man will be glad to receive a high-quality Buck 0347 Vantage Pro Folding Knife ($57). It will no doubt prove its self to be a companion for a variety of tasks and journeys. The steel blade is 3.25 inches in length. It weights just 4.0 ounces in total. And it includes a one-handed opening and locking mechanism. This means the blade will always be safely and securely locked away when folded. It also features a thermoplastic handle for a tighter and more secure grip. 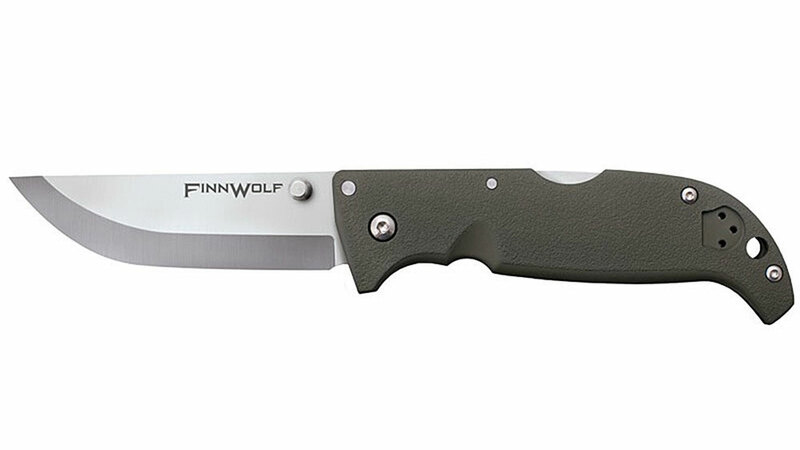 With a 3mm thick blade, the Cold Steel Finn Wolf Folding Pocket Knife ($30) will fit right in your pocket. Making it a perfect for any everyday carry kit. Every man needs a versatile knife and this Japanese stainless steel knife will more than do the job. With its sharp blade, you’ll be able to easily and cleanly cut through a variety of materials. It also features ambidextrous handling so both righties and lefties can easily weld it. Additional features include a belt and pocket clip for ease of carrying. Available in a wide range of colors including a camo print the TAC Force TF-705 Tactical Folding Knife ($8) is an amazing and practical tool. Its handle is made from aluminum and features a bottle opener and a glass breaker. This makes it a perfect tool for emergency situations. The blade features a safety locking mechanism. And is made from 3mm thick black half-serrated stainless steel that will provide a nice clean cut and is sure to be durable and long lasting. 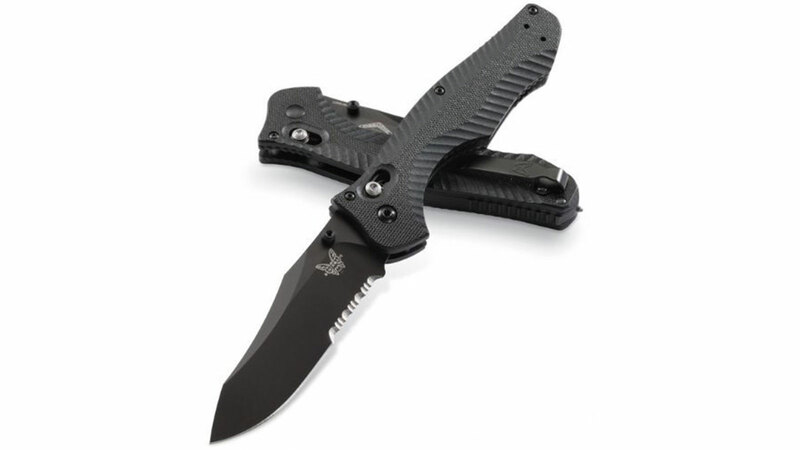 The Benchmade HK Ally Tactical Folding Knife ($28) is a lightweight tactical folding knife. It’ll make a great addition to any everyday carry arsenal. The blade is made from a strong and durable AUS8 stainless steel has a combo-edge and an ambidextrous thumb-hole opener. The handle is just as impressive and is also made from 420J stainless steel. Additional features include a removable steel pocket clip and a glass breaker. This is a tactical knife that you can always rely on to do the job. The Boker Plus Marlowe Squail Tactical Folding Knife ($105) effortlessly combines practicality, everyday functionality, and elegance. It features a 4-inch stainless steel blade and a total length of just over 9 inches. It is also incredibly lightweight weighing just 6.6 ounces. The elegant linen micarta handle features a matte finish which gives this knife a real artistic edge. While the locking mechanism will keep the blade safe and secure when locked away. 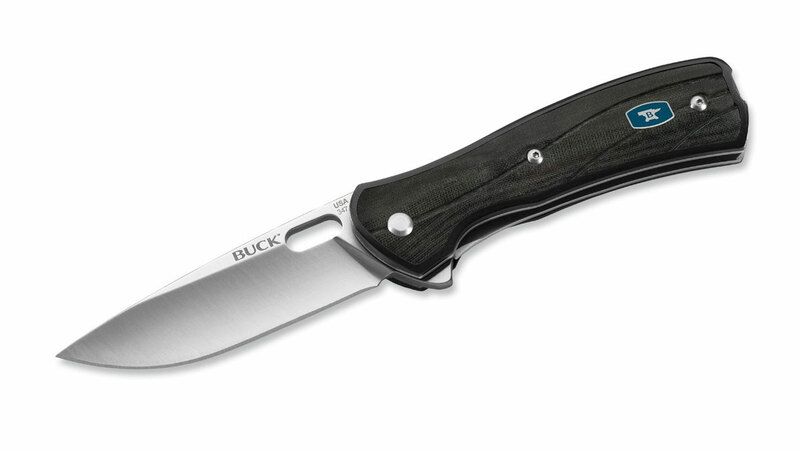 The beautiful Buck Bones Tactical Folding Knife ($21) would most certainly make a great gift. A modern marvel this frame-lock knife features a variety of impressive features. These include a skeletal framework design, a partially serrated blade and an ambidextrous open blade deployment mechanism. The Buck Bones is designed to be very lightweight yet still provide a clean, smooth and powerful cut. 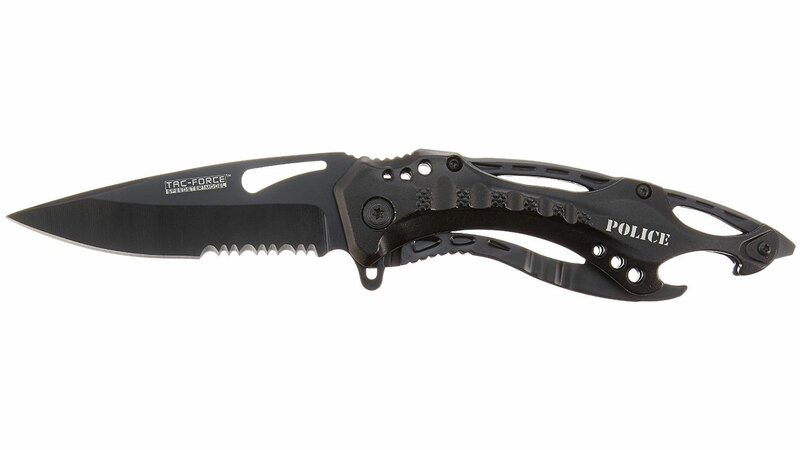 This tactical blade is ideal for both indoors and outdoors use. It comes in two sizes and a range of dynamic colors. If you’re looking for the best Swiss Army Knife for everyday carry, then you’ve come to the right place. Whether you’re looking for something that’s inexpensive to pop the occasional bottle, or if you need a go-to tool for a long trek through the woods or a weekend camping trip, we’ll have something to fit the situation. The first knife on our list is the Victorinox Swiss Army Classic SD Pocket Knife. A perfect knife for everyday carry. It’s small enough to fit in your backpack or pocket where you can forget about until you actually need it. 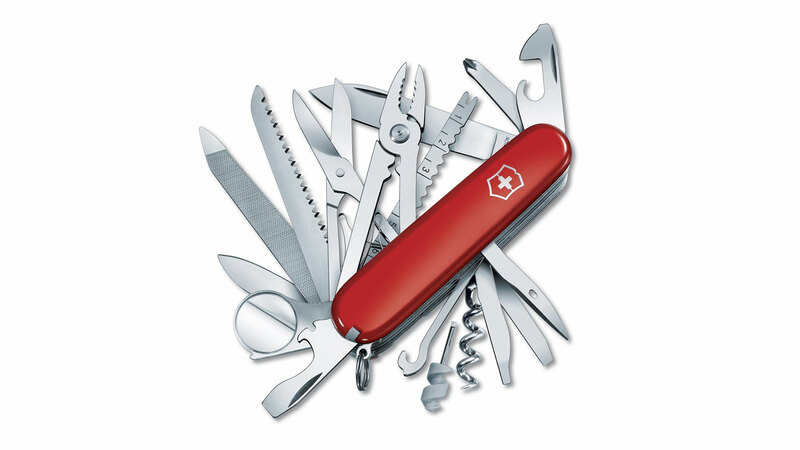 What man can do without a stunning Swiss Army Knife? Well, we believe like you do that you should have a useful tool ready with plenty of options. The Victorinox Swiss Army Classic SD Pocket Knife ($20) is certainly a standout! Available in a huge range of colors and patterns this knife is perfect for everyday carry. Victorinox is a name you can always rely on and this impressive Victorinox Swiss Army One Hand Trekker NS Pocket Knife ($40). From the Swiss maker is ideal for anyone whose on the go. Perfect for the man who enjoys outdoor activities like hiking and camping. It can also help you with a huge variety of activities. 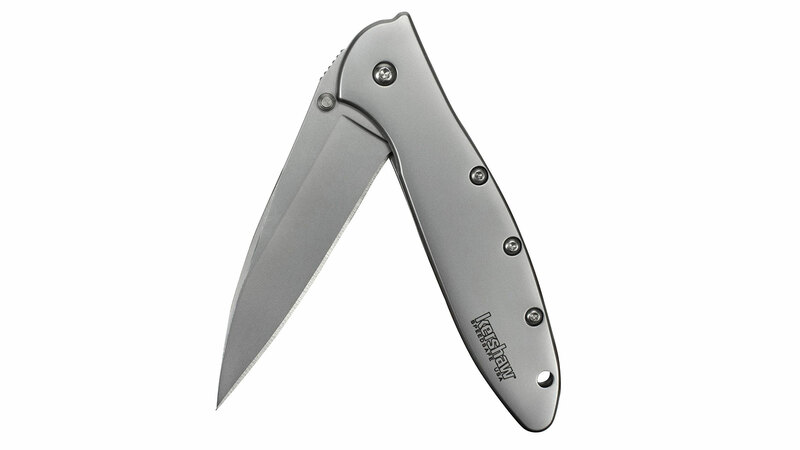 The Trekker features high-quality stainless steel. It’s enclosed in a sleek and stylish black housing that’s compact and sturdy. It also features a variety of different attachments. This includes a seated locking blade, Phillips screwdriver, a bottle opener, and a 4 inch blade. The lifetime warranty guarantees your new purchase will hold up even under consistent use. 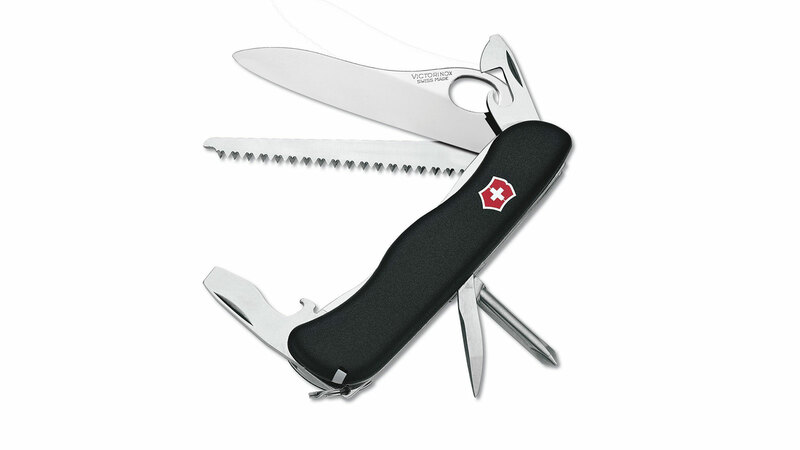 The Victorinox Hiker Swiss Army Knife ($20) is specially designed for all you hikers. It features a compact, sturdy design and stylish color scheme. Any man whether he hikes or not is sure to love this versatile tool. It’s made by Swiss professionals and features durable brass rivets and bushings for increased strength. This is going to be your goto tool on all of your adventures. It also features 8 separate tools so you’ll be fully covered for any situation. With this versatile knife you get a: wood saw, various Phillip screwdrivers, a bottle opener, a can opener and two separate knives. 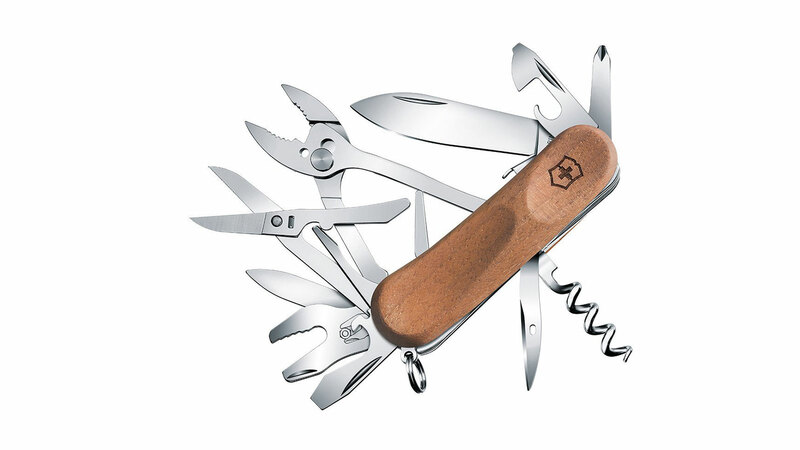 the Victorinox EvoWood S557 Swiss Army Pocket Knife ($85) features walnut panelling and a huge range of 18 separate tools. It ‘s a dream Swiss Army Knife. Whatever the task you’ll always be ready for it with this versatile knife in your pocket. It’s Incredibly light weight, weighing only 127 grams. And has a total length of 3.3 inches this knife is cool, compact and easy to carry. Among the 18 impressive tools you have a lock blade, nail file, nail cleaner, can opener, screwdriver, bottle opener, wire stripper, corkscrew, reamer punch, scissors, pliers, a key ring and more! 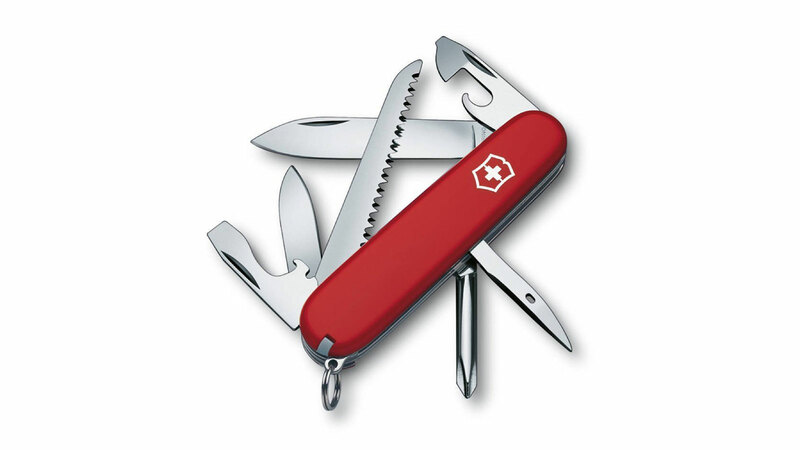 Versatile and ready for anything you’ll be glad to have this Swiss Army knife. 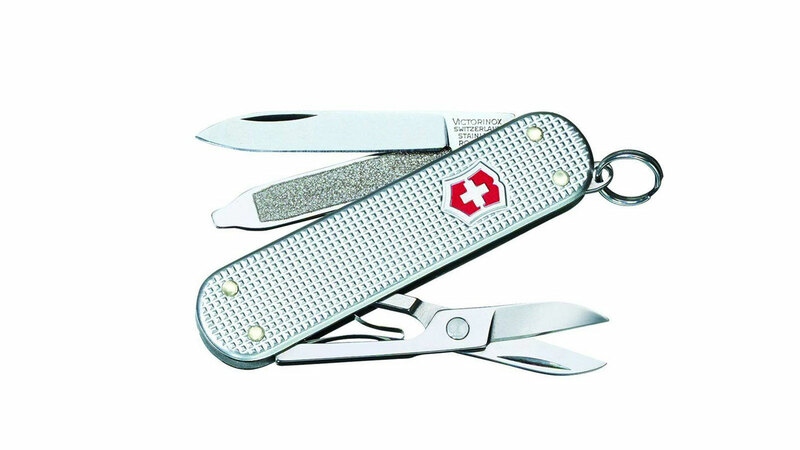 Weighing about 7 ounces and with total dimensions of 3.5 inches long and 1 inches wide, the Victorinox Swiss Army Swiss Champ Pocket Knife ($75) literally has everything but the kitchen sink! With its red and stainless steel coloring and smart, functional design this functional knife is perfect for outdoor adventures, camping and much more. It comes with 32 amazing tools so whatever the job you’ll be covered. These include: a Large Blade, Small Blade, Corkscrew, Can Opener with, Small Screwdriver (also for Phillips Screws), Bottle Opener with, Large Screwdriver, Wire Stripper, Reamer, Key Ring, Tweezers, Toothpick, Scissors, Multi-purpose Hook (Parcel Carrier), Wood Saw, Fish Scaler, Hook Disgorger, Ruler (in/cm), Nail File with, Nail Cleaner, Metal File, Metal Saw, Fine Screwdriver, Chisel/Scraper, Pliers with, Wire Cutter, Wire Crimper, Phillips Screwdriver, Magnifying Lens, Pressurized Ballpoint Pen, Straight Pin, Patented Mini-screwdriver, and a Sewing Eye. Whew! In this buying guide, you will find our favorite everyday carry (EDC) Benchmade knives. These are some of the best-made knives in the United States and are currently used by the military and other professionals. Before we get started let’s take a look at the history of Benchmade. Due to issues with quality control, price, and delivery, Pacific Cutlery Corp. filed for bankruptcy. The company was reintroduced in 1988 with a new mission. To produce a product in the US with a commitment to availability, quality and customer relationships. The new name of that company was Benchmade. Les wanted the new name to reflect the fact that precision parts they created were hand assembled. The perfect marriage of modern manufacturing and custom building. In 1990 the company moved to Clackamas, Oregon, the epicenter of knife manufacturing. This is where they started using a high-powered laser cutter that allowed them to work with metals that were too hard to stamp. During this period Benchmade became the world leader in automatic knife manufacturing and began supplying the military. In 1996 Benchmade moved to a 144,000 square foot facility in order to meet growing demand for their products. 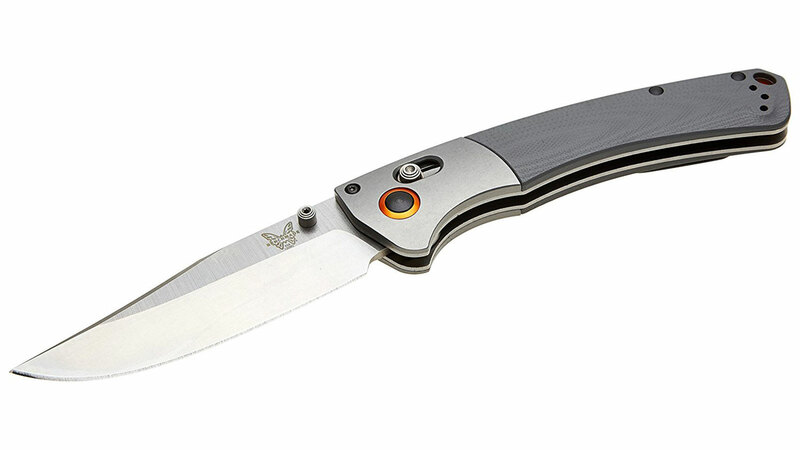 And in 1997 Bill McHenry and Jason Williams approached Benchmade with the AXIS lock and the future was born. First up on our list is the Benchmade Adamas 275 Plain Drop-Point. A beautiful folding knife and one fo the strongest AXIS knives ever made. The Benchmade Adamas 275 Plain Drop-Point Folding Knife ($179) is a perfect everyday carry knife. It’s made with D2 Tool Steel and is one of the strongest AXIS knives ever made. 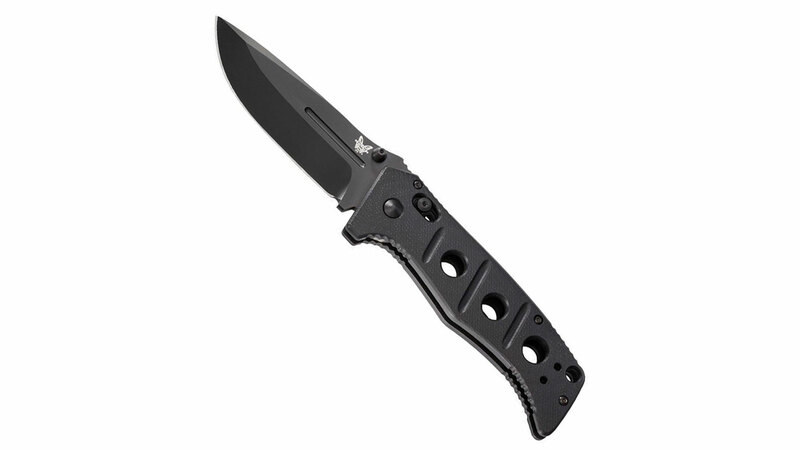 The drop-point blade features ambidextrous thumb-studs and a safe and secure AXIS locking mechanism. Guaranteeing the blade will be safely locked away when folded. Perfect for the outdoors and available in both a striking black and sandy brown. This is a knife you can always depend on. 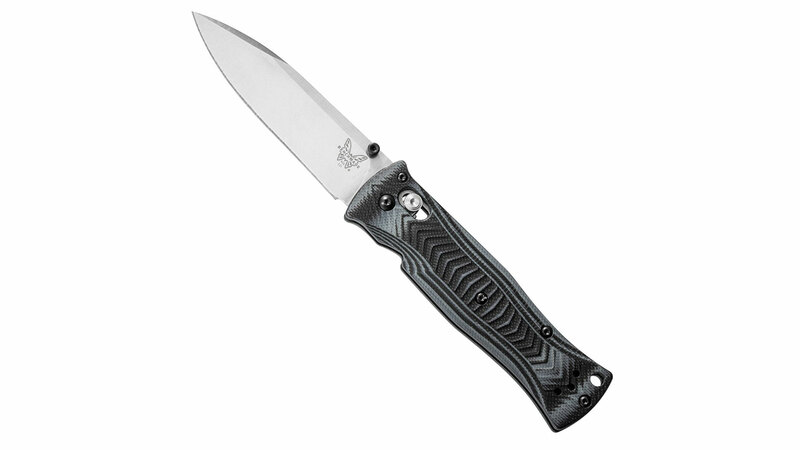 Size isn’t always an indicator of strength and that is shown clearly is the Benchmade 531 Axis Knife ($132). While it might be small in stature it offers an incredibly sharp blade perfect for camping and hiking and much more. 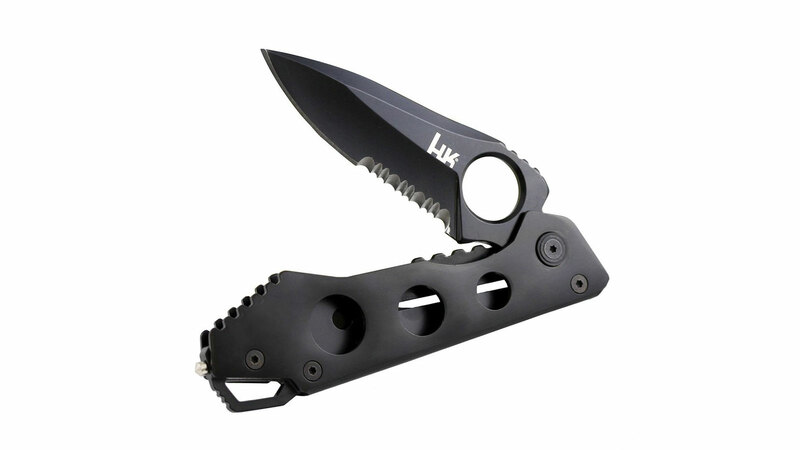 Styled in a modern black with a strong and secure folding mechanism this mini-knife is very versatile and can be safely carried around in your backpack or pocket without risk. It also comes with its own sharpening block so you’ll be able to keep the blade smooth and sharp. 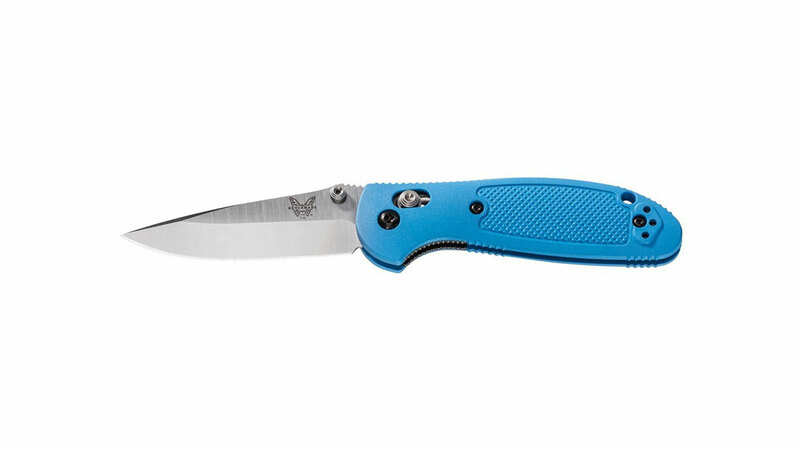 Available in three bright colors with a satin finish on the handle the Benchmade Mini Griptilian 556 Knife ($) is a thing of beauty. Made with American steel the drop-point style blade measures just under 3 inches and weighs 75 grams. The smooth handle is made with injection molded GFN, glass filled nylon, which provides a strong and tight grip. It also features the tried and trusted AXIS ambidextrous design and locking mechanism. With stunning style and an innovative design, this knife is sure to be a great choice for anyone looking for a solid everyday carry knife. The Benchmade 810SBK Osborne Contego Knife ($196) as a stylish and sleek black military knife that’s sure to make a great addition to your everyday carry arsenal or toolkit. Whether it’s for camping, hiking, defense or just everyday use this knife is strong, powerful and built to last. It measures just 6 x 3 x 2 inches and has a lightweight design that weighs less than 9 ounces. Among its impressive specs are an AXIS locking mechanism, ambidextrous thumb-studs and a textured handle for increased grip. It also comes with a reversible deep-carry tip-up pocket clip so you can easily attach it to your pocket or belt. Ideal for hunting but versatile enough for everyday use the Benchmade 15080-1 Crooked River Knife ($179) is a perfect all around blade. With a total weight of just 5.6 ounces, this sleek razor-edged knife is sure to give a clean precise cut through any material. The blade has been professionally crafted from premium stainless steel and is also weather and rust resistant. The knife also features the always reliable AXIS locking mechanism and it even comes with its own storage case.